The following letter was written by Dr. Carley Robertson and published on November 28, 2012 in the Ravalli Republic under the title: Legal assisted suicide Orwellian and discriminatory. I am confused by the ongoing dispute about whether we should legalize assisted suicide in Montana. I am a medical doctor whose patients include incarcerated persons. Law enforcement, jails and prisons are mandated to monitor for signs of depression and suicidal ideation, and to identify, intervene and/or initiate treatment. We are told that our failure to do so would be a significant breach of an inmate’s civil rights. Yet according to proponents of assisted suicide, patients also have a right to receive a doctor’s assistance with the suicide. This makes no sense. On the one hand, you have a group of people (prisoners) who suffer from situational depression due to their circumstances. Suicide attempts in this population are not rare. On the other hand, you have a group of people (persons diagnosed with a terminal diagnosis) who suffer from situational depression due to their circumstances. Why is one group entitled to protection and the other is not? Is it because with the second group, you call it “aid in dying” because people are dying anyway? They may not be dying anyway. Doctors diagnoses can be wrong. I have seen patients in my own practice live longer than expected. What about an older inmate? Would he be entitled to protection or a lethal dose? This all strikes me as very Orwellian and also discriminatory to people labelled terminal. I thought freedom from discrimination was a constitutional right. The letter I wrote to the Revalli Republic newspaper in Montana on assisted suicide and elder abuse was published online today. I was told by the newspaper that they only publish letters from people in Montana in the newspaper but they publish all applicable letter online. Nonetheless, I thought it was worth writing and I think it is worth reading. 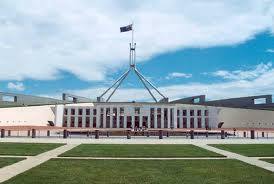 Australians are signing the "Declaration of HOPE" against euthanasia. HOPE Australia recently launched the Declaration of HOPE to oppose the legalization of euthanasia and assisted suicide and to support excellent palliative care and care for vulnerable persons. Paul Russell, the founder of HOPE has released a short video explaining what the Declaration of HOPE is and why Australians should sign it. Link to the short video. The Declaration of HOPE is easy to sign. HOPE Australia has established an easy online campaign to sign the Declaration of HOPE. Link to the Declaration of HOPE. Currently HOPE Australia is facing attempts to legalize euthanasia in the federal parliament, the South Australian parliament and Tasmania. On Monday the 26th of November Senator Di Natale introduced a new bill to overturn the Federal Euthanasia Laws Act 1997 which prohibited all three Australian Territories with limited self-government from passing laws on euthanasia & assisted suicide. Only days earlier, retired Senator Bob Brown’s Bill with the same ends was finally withdrawn from the Senate Notice Paper. Interestingly, Di Natale’s bill was identical to that moved by Senator Brown in 2010. 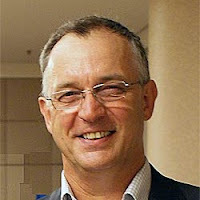 Former Chief Minister of the NT, Marshall Perron and architect of the Rights of the Terminally Ill Act (ROTI) (which was in force in the Northern territory for a brief period before the Federal Bill took precedence) has argued that this new Di Natale Bill should not be subject to a conscience vote because it was principally about Territory Rights and not about euthanasia. Not so. The debate in 1996/97 on the Euthanasia Laws Act was essentially about whether or not the ROTI act was in keeping with good government and whether or not the Federal responsibility for the good government of the territories included not allowing euthanasia & assisted suicide legislation to stand. It was a debate about euthanasia in the context of the territories and their constitutional relationship to the Federal Parliament. If we needed any more proof that this is about euthanasia, we would only need look to recent comments from politicians in both the ACT and the NT. ACT MLC, Shane Rattenbury confirmed to ABC News that he supported the Di Natale move and would look to drafting legislation at some future moment. Likewise, the Speaker of the NT Legislative Assembly, Kezia Purick also told the ABC that she would look to introduce a private member’s bill. The NT News said that the NT Labor Leader, Delia Lawrie, supports the idea of euthanasia. Lawrie also added that she doubted that the Di Natale push would be successful. For more information on the Di Natale bill CLICK HERE to go to the Federal page on the HOPE website. If you’re from South Australia, there’s a bill that also needs your attention. CLICK HERE. Please also sign The Declaration of HOPE. CLICK HERE. 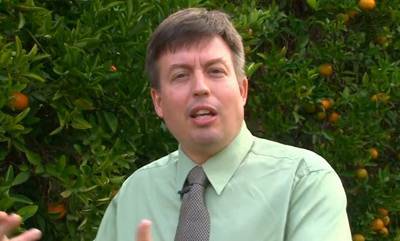 Assisted Suicide: Doctor fears for elderly patients. The following letter was written by Annie Bukacek and published today in the Ravalli Republic newspaper in Montana. 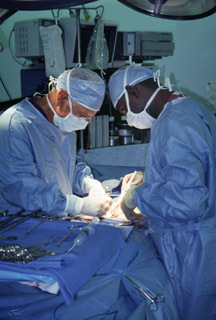 Denmark shocked by story of recovery of "brain dead" organ donor. The following article was written by Michael Cook and published online on November 20 at Bioedge under the title: Denmark shocked by story of brain dead donor's recovery. I published a similar article on November 23 entitled: Danish Teen Wakes as Doctors Prepare to Harvest her Organs. Michael Cook also focuses on the actual fall-out in Denmark from the story. The hospital acknowledged that the question of organ donation should not have been raised as there were no unambiguous signs that brain death would occur. New guidelines have been introduced to ensure that relatives will only be approached about organ donation if no more treatment options are available. There was no risk of a false diagnosis of brain death, the hospital insisted. 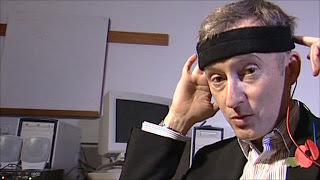 But in more bad publicity for the hospital, a Danish tabloid profiled a man who had been falsely diagnosed as brain dead in 2002. He recovered quickly. Aarhus University Hospital is investigating both cases, although it insists that the correct procedures were followed in the earlier case. Carina’s family is now suing the hospital for damages. Her family’s lawyer claims that she keeps asking whether her doctors were trying to kill her. “Those bandits in white coats gave up too quickly because they wanted an organ donor,” Carina’s father told the Danish newspaper Ekstra Bladet. 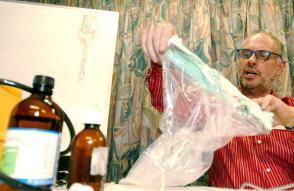 Australian euthanasia activist concerned about losing his medical license. Last year, Philip Nitschke, Australia's Dr. Death, established a fake brewing company to enable him to distribute tanks of Nitrogen gas without the authorities noticing what he was doing. Paul Russell, the leader of HOPE Australia, sent the information from NItschke's website to the medical authorities to question whether Nitschke was breaking the code of ethics for physicians by counselling and providing the means for suicide. Nitschke is upset because the legal coverage that is provided for doctors in Australia will not cover the legal proceedings related to this case because it has nothing to do with his medical practice. Euthanasia campaigner Dr Philip Nitschke says he has been abandoned by his medical indemnity insurer as he fights a new medical board investigation that threatens his registration. Anti euthanasia group, Hope, has complained about Dr Nitschke’s promotion and sale of nitrogen to members of Exit International, saying it has "overstepped the bounds of reasonable behaviour" and makes him an unfit person to hold a medical license. Last year, Dr Nitschke set up a company to sell nitrogen to members of his group who are interested in buying the gas to commit suicide. The company’s website does not mention Exit International or Dr Nitschke. In a complaint to the Australian Health Practitioner Regulation Authority, executive director of Hope, Paul Russell, said although Dr Nitschke’s group had advised people of various methods to commit suicide in the past, selling nitrogen to people created "a far more direct relationship between Exit/Nitschke and the suicide candidate". While Dr Nitschke says he works predominantly as a human rights activist and scientist when he works for Exit International, Mr Russell has called for AHPRA to consider his workshops medical consultations. "Were he to provide the kind of information he promotes in his workshops to a patient in his consulting rooms I doubt that anyone would disagree that such behaviour is inappropriate," Mr Russell said in his complaint. In a letter to Dr Nitschke, AHPRA said it was investigating the matter. Under the Health Practitioner Regulation National Law, it has the power to act against a practitioner who is not considered "a fit and proper person" to practice. It can suspend or cancel a doctor’s registration. If Philip Nitschke thought that there was nothing illegal or unethical about distributing Nitrogen tanks to people for the purpose of suicide, then why did he establish a fake brewing company for that purpose? The following article was written by Dr. Sinéad Donnelly, a consultant in palliative care from Wellington New Zealand. The article was published in the Journal of the New Zealand Medical Association, November 23, 2012, Vol 125 No 1366. I come from a long line of doctors; since 1905, three generations and seven doctors. From my general practitioner grandfather I have learned the art of attending in medicine. From my physician father I have learned the art of observing. I am a palliative medicine physician for 21 years. I practise the art and science of palliative medicine. As a palliative medicine physician I care for 400 each year for 21 years who have advanced disease and who have died. I have worked and trained in Ireland, Scotland and United States and have been in New Zealand for the past 4 years. My whole being cries out “do not do this” to the concept of legalising euthanasia in this country. 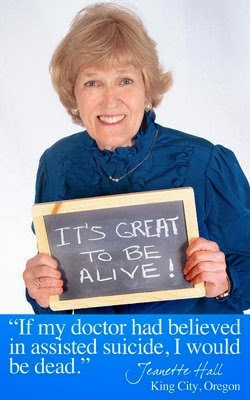 The World Health Organization defines palliative care as an approach that improves the quality of life of patients and their families facing the problems associated with life-threatening illness through the prevention and relief of suffering by means of early identification and impeccable assessment and treatment of physical symptoms. Of particular note, it says that palliative care affirms life, regards dying as a normal process and intends neither to hasten nor postpone death. I am opposed to euthanasia as a doctor and as a palliative medicine physician. ANZSPM Aotearoa (New Zealand branch) of which I am chair represents 86 doctors in New Zealand who practice palliative medicine. We agree with the New Zealand Medical Association (representing over 5000 doctors) in stating that euthanasia—i.e. a doctor deliberately ending the life of a patient—is unethical and illegal. The annual meeting of ANZSPM Aotearoa in Queenstown this year included a discussion on Maryan Street’s (Labour Party Spokesperson on Health) proposed Bill. There was unanimous opposition to the legalisation of euthanasia. Every day I spend hours with people who are facing death, whose greatest need in my experience is to be truly heard, truly listened to, not abandoned emotionally or physically. People yearn so much to receive care unconditionally. They are sensitive acutely to any sign that others feel they are a burden. When they sense this by a look, a tone, a pause, a lack of a pause, the pace of a conversation, they close down, retreat and their overall suffering increases. For me the essence of medicine and the therapeutic relationship is listening with particular attention. I have laboured to achieve that over many years as a doctor, honing my skills in several countries, adding to my experience to serve others. Listening is a form of touch; it is an analogous to auscultation of the heart knowing specifically what abnormal heart sounds or murmurs to listen for. Listening in medicine is not to be perceived as an act of benevolence born out of compassion but instead approached as essential clinical skill that is as much science as art. 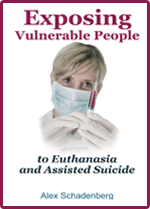 International literature identifies that the main reason for people supporting euthanasia is not due to intolerable pain but is instead people feeling a burden and loneliness. Euthanasia is not the answer to society’s disease of loneliness. The strongest predictive factor from the international literature for a wish to hasten death in those with terminal illnesses is hopelessness. Euthanasia is not an answer to society’s disease of hopelessness. The word euthanasia disguises a practice which one might abhor if it were given another name and the other name would be “to kill” someone. Let us take the protective cloak of medicine away in what is this in fact deliberately ending the life of another person. 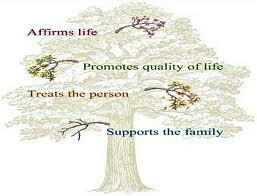 Being treated with dignity is not only about self control, autonomy, independence, maintaining physical function. It is also present when one is honoured and treated with esteem. Caring lovingly for someone is itself an act of dignity and can provide dignity to another. This Bill will include anyone who suffers from an irreversible, physical or mental condition that in the person’s view renders his or her life unbearable. This will include a person with diabetes, arthritis, anorexia nervosa, depression. 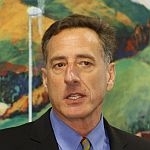 Any person with a chronic illness will be included within the legislation. This runs counters to our efforts to reduce the incidence of suicide not to promote suicide. Clause 27 of Maryan Street’s Bill requires a medical practitioner who declined to participate to provide alternative source of medical assistance. There is no right to conscientious objection for the doctor. As a result by not participating, a person who commits such an offence will be liable on summary conviction to a term of imprisonment not exceeding 3 months or a fine not exceeding $10,000 or both. So you have a picture of those doctors who are opposing euthanasia, of which there are many, rotating through the prison system. Based on the statistics for the Netherlands where euthanasia is legal, there would be at least 700 such people euthanised in New Zealand each year. This is clearly not two or three per year. 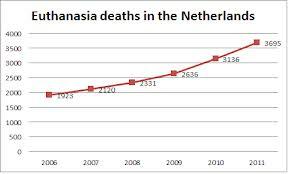 In 2011 in the Netherlands there was increase of 18% to 3695 people who were euthanized; 23% of euthanasia deaths are not reported so 4544 is probably the correct estimate. In the Netherlands in 2012 they planned to have six more mobile euthanasia teams anticipating an additional 1000 deaths this way providing a service for those chronic depression, dementia and loneliness, and for those whose request is declined by their physician. I visited Nijmegen in the Netherlands for a 1-week course on bioethics including euthanasia several years ago. They showed a documentary with a general practitioner practising euthanasia. My immediate impression was that the doctor was depressed. S McLeod has written in the Australian New Zealand Journal of Psychiatry that the fatigued, hopeless and despairing doctor confronted by a patient requesting assisted suicide may more subtly encourage the act. Kelly et al, wrote that clinicians burdened with the care of the very sick were frustrated by therapeutic impotency struggling to communicate effectively and seduced by the apparent rationality of the request, may become like their patients, supportive and implicit in quickening death. Many physicians who have practised euthanasia in the Netherlands said that they would be most reluctant to do it again. In the US state of Oregon, doctors attending persons requesting PAS report being intimidated by patients to assist and have been powerless to influence the decision making process. Oregon doctors reported being personally damaged by the experience. It appears that the personal and professional experience of therapeutically killing is discouraging doctors from accepting these patients on to their books. Kelly et al draws attention to the complexity of physician response to the care of the terminally ill, reflecting at times their sense of hopelessness and demoralisation. Physicians like all other human beings cannot entirely escape their own prejudices and bias about what constitutes quality of life and a good death and where and whether suffering has meaning. The goal of medicine is never to give up caring. As a doctor you can harm by a look or by phrase because of the vulnerability of a person who is ill. Such people are extraordinarily vulnerable calling for extraordinary compassionate care. We need skills and knowledge to know how to provide that exquisite competent care. I have heard Glenn Colquhoun (New Zealand GP and poet) say that medicine is a spiritual profession and that in the patient/doctor relationship the spirit of the patient is exposed. In medicine—a science of the purely subjective—we encounter the ache of being human. The legalisation of euthanasia in New Zealand will hurt the profession of medicine irrevocably. The soul of medicine is on trial. 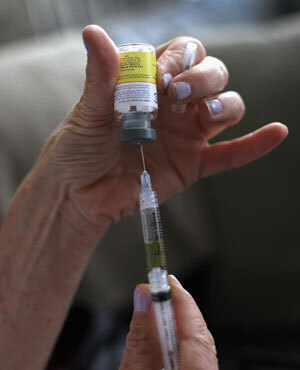 Euthanasia will expose further the vulnerable in New Zealand society. Euthanasia will not solve the aching loneliness of our broken society. 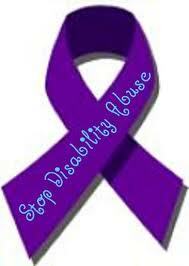 Disability rights leaders call for an end to abuse and neglect in Washington State. The disability rights movement in Washington State has released a document entitled: Too little too late: A call to end tolerance of abuse and neglect. The state’s abuse response system is largely unresponsive to reports of individuals with intellectual disabilities in supported living, who are subject to physical harm, psychological trauma, sexual assault and even death, according to a new report issued by Disability Rights Washington and Columbia Legal Services. These two organizations conducted an in-depth investigation and contracted with two nationally-recognized abuse response system experts who uncovered a Washington state-run system ineffective at keeping people safe. In 85% of serious allegations of abuse and neglect against Supported Living employees, including physical harm, sexual assault and death, there was no evidence, 9 to 12 months later, that an investigation into the specific allegations against the employee had been started. The report also shows how Supported Living providers, certified to serve individuals with intellectual disabilities, operate with very little oversight. The report outlines five recommendations for the state which include mandating prompt investigations for abuse and neglect, and allocating sufficient staff to complete investigations. Disability Rights Washington and Columbia Legal Services conducted an in-depth investigation and contracted with two nationally-recognized abuse response system experts who uncovered a Washington state-run system ineffective at keeping people safe. The report outlines five recommendations for the state which include mandating prompt investigations for abuse and neglect, and allocating sufficient staff to complete investigations. The Euthanasia Prevention Coalition encourages Disability Rights Washington in their demand to protect people with disabilities from abuse and neglect. EPC wonders if the societal tolerance of abuse and neglect of people with disabilities may also affect the availability of end-of-life care for people with disabilities and we wonder whether people with disabilities have been encouraged to seek assisted suicide, which is legal in Washington State? Danish Teen Wakes as Doctors Prepare to Harvest Her Organs. There have been several reports in the past few years about people who are being prepared for organ donation, who wake up or shows "signs of life." These stories create a distrust in society concerning the practice of organ donation and it leads to fewer people willing to be organ donors. The abuse of organ donation related to the wish to procure more organs for an endless demand for organ donation may be leading to sloppy evaluations by some physicians, while other physicians consider people who appear to be nearing death as suitable organ donors because they "will die anyway." At the same time, Belgium began the process of euthanasia/organ donation a few years ago, once again blurring the line between life and death while leading to a policy of retrieving organs based on consent alone. Disability rights group, Not Dead Yet, are concerned about how Organ Procurement Guidelines effect people with disabilities. An article published last August in the National Post in Canada examined "brain death" guidelines and created a concern as to whether Brain death is death. The following article was written by Christine Hsu and recently published in the Medical Daily under the title: Danish Teen Wakes From the "Dead" Just as Doctors Prepare to Harvest Her Organs. 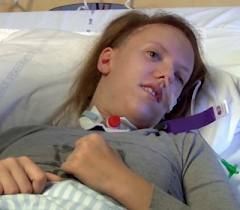 Danish Teen Wakes From the "Dead" Just as Doctors Prepare to Harvest Her Organs. "And I will be working as a graphic designer and be able to ride Mathilde properly," she said. The debate concerning assisted suicide in the United States has been effected by a false reading of the Baxter decision in Montana. The assisted suicide lobby insists that assisted suicide is legal in Montana, but a closer reading of the Baxter decision recognizes that the court decision did not overturn the law but created a defense for a physician who is prosecuted. Prosecutions for assisted suicide remain possible in Montana and conviction remains possible in Montana. Recently during the debate in Massachusetts it was stated over and over again that only two states have legalized assisted suicide and in Massachusetts the voters recently rejected (ballot Question 2) assisted suicide. The following letter was written by David W Hafer, DDS, MS and published Ravalli Republic newspaper under the title: Assisted suicide in Montana. A recent AP article which appeared last Friday in most major newspapers in our state incorrectly stated that Montana is the third state to allow assisted suicide, along with Washington and Oregon. Attorneys Greg Jackson and Matt Bowman did an extensive analysis of the case and concluded it “did not legalize assisted suicide and it continues to carry both criminal and civil liability for any doctor, institution, or lay person involved.” The Montana Lawyer, the official publication of the Montana State Bar concluded the issue is open to argument, confirming that the legislature needs to clarify the issue this coming session. As a retired doctor and Montana State Representative for CMDA I your readership needs to know that there are problems inherent in passing a law that would allow a physician to kill their patient. People need to understand that we are talking about a physician writing a prescription for the express purpose of one taking their own life. The very oath that physicians take in stepping into this profession states that they “shall do no harm.” Their purpose is to cure, to heal, to provide comfort and care at the end of life, but not to aid in facilitating the end of that life through active means. Physicians are fallible human beings and often are wrong in their prognosis concerning how long a patient will survive their illness. Often, it is depression that prompts one to think that life if not worth living or perhaps the feeling that because of their illness they are a burden to their family. 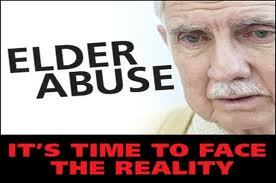 The whole matter is a recipe for elder abuse. 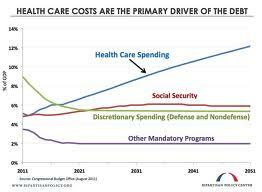 This is a topic that requires much more discussion and education concerning what it really entails and what is at stake. 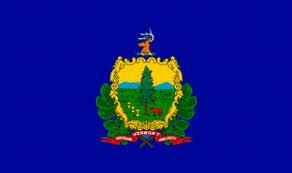 The Montana Medical Association has drafted its position statement, stating that Boards (i.e. Montana Medical Examiners Board) should not be making position statements without clear statutory authority. I appreciate the opportunity to set the record straight and hope that you continue to report on this vital topic. Canadian research showing "PVS" people can communicate should influence legal precedents, including the Rasouli case. The following article was written by Peter Saunders and published on his blog on November 13, 2012 under the title: BBC Panorama findings will heighten calls for review of Tony Bland judgement. For those who have not followed the British case history related to euthanasia, assisted suicide and end-of-life care decision making, the Bland case is the precedent case referred to by all 'common law' court systems concerning the withdrawal of life-sustaining medical treatment. The Bland case is also the precedent case that is being referred to in the Rasouli case in Canada that will be heard by the Supreme Court of Canada on December 10, 2012. The Rasouli case will determine whether doctors in Canada can unilaterally withdraw Life-sustaining Treatment, including fluids and food, without consent, if the doctor deems that the Life-Sustaining Treatment or care is futile. BBC Panorama findings will heighten calls for review of Tony Bland judgement. The case is important because in the past two decades, more than 40 vegetative patients have been allowed to die after High Court judges approved the withdrawal of feeding tubes. This followed a landmark case involving the young Hillsborough victim Tony Bland, who was crushed in the stadium disaster in 1989, suffering terrible brain damage which left him in a vegetative state. Much will depend on the view of the working party of the Royal College of Physicians which has been reviewing the College's 2003 guidelines on low awareness states.